Recent developments in integrated optics and miniaturization of optical components and devices put forward new challenges for nonlinear optics at the (sub)wavelength scales. 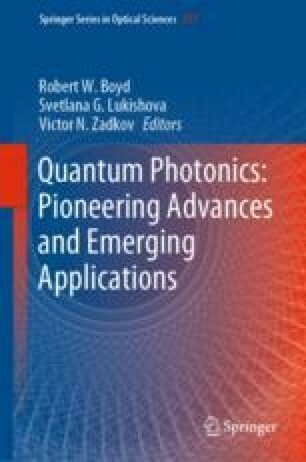 In order to address these challenges, plasmonic modes, related to a coupled state of photons and coherent free-carrier oscillations in conductors, their nanostructures, and plasmonic metamaterials, have recently been widely used to tailor spectral and dynamic properties of the nonlinear response. Providing strong local field enhancement, plasmonic modes boost nonlinear interactions, leading to high effective nonlinear susceptibilities and offering one of the fastest nonlinear response due to the free-carriers dynamics. In this chapter, we will overview principles and various effects in nonlinear plasmonics and plasmonic metamaterials. Engineered harmonic generation and soliton formation, related to coherent nonlinear interactions in free-electron gas are discussed and a hydrodynamic model for coherent nonlinearity is introduced. The Kerr-type nonlinearities for ultrafast optical signal processing are considered in terms of electron gas excitation and relaxation dynamics in the nanostructures. The flexibility and unique features of free-electron nonlinearities in plasmonic nanostructures are important for nonlinear plasmonic applications in free-space as well as integrated and quantum nanophotonic technologies.